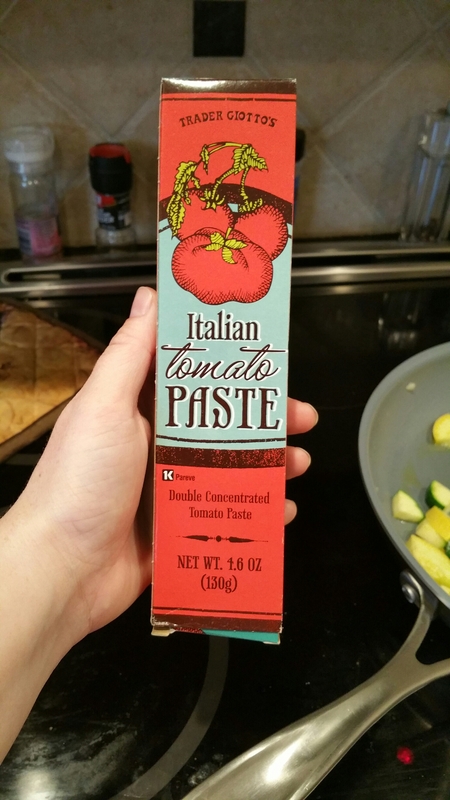 Tomato Paste… in a tube! (And other quick tips) – Dancin' and Cookin' in the Kitchen! ← Whole Grain Southwest Quinoa Bowl with a Fried Egg! It’s in a reclosable tube! What?! Am I Right?! How exciting is this? Now, those of you who are chefs are probably thinking, “um, that’s been around forever”… but this is new to me and I’m ecstatic! This is gonna be great! Also, did you know they have tubes of fresh herbs? They do! Basil, cilantro, parsley, etc. So, if you need a couple of months to use up herbs in things like guacamole and pasta, try those! They are still fresh and taste fresh, but last so much longer! Sometimes my herbs are bad within 5 days! Remember my tip about onions! Slice them, put them in a freezer bag and freeze the leftovers! Canned condensed soups… don’t use them if you don’t have to! It’s soooo easy to make a creamy base! Butter, flour, milk or cream… and then chicken or veggie broth! Seriously! That’s it! I keep all of those in my pantry or fridge at all times! Then you just add mushrooms or chicken or whatever base you want! I’ll make it soon to post on the blog. Then, you have a natural and organic food base that you know where it all came from! Chicken broth is easy to make too! After Thanksgiving I make Turkey broth and saved it in glass jars in the freezer! I made some awesome soups with it! Any questions or tips you want to know about? Ask! Send me an email or ask a question in the comments and I’ll do my best to respond and even possibly make a post out of it! This entry was posted in Main Dish, Mid-day, Snacks and tagged broth, soup, Tips, tomato paste, Tricks. Bookmark the permalink.